TBirdie Consulting, Inc was formed in 2002 by Dr. Tiraz Birdie with the goal of providing advanced hydrologic analyses and design services. Dr. Birdie has been in the consulting field for 28 years and has extensive professional and business experience. The company is composed of several associates who are recognized leaders in their fields including groundwater hydrology and contaminant transport, urban and watershed hydrology, carbon geologic sequestration, geospatial technologies, and ground-coupled heat pump systems. The company strives to serve its clients and earn their trust by providing the highest quality service at a competitive price. Hydrologic engineer with broad-based experience in ground and surface water hydrology, specializing in numerical modeling for water supply, environmental, and geotechnical applications. Tiraz has developed models at the regional, basin, and site scales, including several Superfund sites. His models have been utilized for designing optimal wellfields and dewatering systems, delineating wellhead protection areas, determination of aquifer safe-yield, minimizing environmental impacts on wetlands, predicting migration of hazardous contaminants, formulating environmentally sound and quantitatively efficient water management policies, performing remedial investigations, and developing remedial strategies. Tiraz has extensive experience in assessing the impacts of groundwater development on coastal aquifers contaminated by encroaching seawater, and has coordinated team efforts on the construction of several large-scale density-dependent solute transport models to predict the migration of seawater along the coastal regions of the United States. He is also the author of a numerical model to assess the impact of brine migration on stream-aquifers systems. In addition to porous media, Tiraz has developed flow and contaminant transport models for fractured systems. He has also developed basin-scale coupled surface-groundwater simulator to analyze the impact of climatic, hydrologic, hydrogeologic, and anthropegenic forces on inter-connected hydrologic systems. Dr. Birdie is experienced in the analysis and optimal design of water distribution networks, and integrated groundwater-well-pump-distribution system modeling. He has developed the first integrated aquifer-well-pump-distribution system numerical model. The model is capable of simulating true wellfield operating conditions, and is useful for evaluating real world operational strategies. The model can be integrated with Supervisory Control and Data Acquisition systems for optimization wellfield operations with the specific objective of minimizing energy consumption for extraction and transportation of water. Tiraz has expertise in underground injection of waste fluids and dealing with environmental regulators. He has worked with the U.S. Environmental Protection Agency to obtain a Class VI carbon dioxide injection permit, and is familiar with all aspects of carbon geologic sequestration as a climate change mitigation technology including geologic characterization, multiphase simulations, testing/monitoring, and site operations. He is knowledgeable in induced seismicity analyses techniques to determine the likelihood of earthquakes occurring due to injection of waste fluids in deep formations. 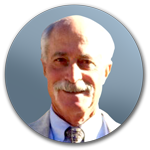 Bruce McEnroe has a PhD in Engineering with nearly 40 years of broad-based experience in hydrology and hydraulics. His areas of expertise include watershed hydrology, urban hydrology, stormwater management, performance and design of hydraulic structures, and landfill drainage systems. In the area of watershed hydrology, Dr. McEnroe has extensive experience in flood frequency estimation for ungaged watersheds, precipitation frequency analysis, hydrologic model calibration, and stream restoration design. 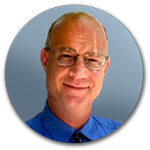 Dr. McEnroe is a prolific researcher, writer and presenter. He has authored or co-authored 57 peer-reviewed publications and 45 research reports and designed and taught 15 short courses for professional engineers. He has been awarded 47 grants and contracts totaling approximately $1.85M from a variety of public agencies. He has taught undergraduate and graduate courses in water resources engineering design, hydrology, fluid mechanics, open channel flow, pipe-flow systems, groundwater flow, urban hydrology and stormwater management, and water distribution and wastewater collection. Over the years, Dr. McEnroe has provided extensive guidance to the Kansas Department of Transportation (KDOT) and Kansas City-area local governments on practical hydrologic and hydraulic issues. Carl Nuzman holds a Master’s degree in Water Resources Engineering. During his 5-decade career, he has contributed immensely in the areas of aquifer modeling, well field design and construction, pumping test design, water well treatment and rehabilitation, water well and pump design/construction, and soil and ground water remediation. He has served as a technical advisor to the Attorney General of Kansas on environmental issues pertaining to the Equus Beds aquifer. 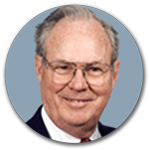 He was the first to model the Ogallala aquifer in southwest Kansas using the passive element, steady state, electric analog modeling technique in 1966. He has consulted on the design of deep disposal wells, ground water recharge facilities, and dewatering systems for numerous projects. He has provided expert testimony on a variety of hydrologic issues. Carl is known throughout the United States for his work to address difficult groundwater issues. He has, or has held, a Professional Engineer license in Kansas, Missouri, Iowa, South Carolina, Florida, Alabama Arizona, Illinois, Indiana, Louisiana, Mississippi, Nebraska, North Carolina, New Mexico, Ohio, Oklahoma, Tennessee, Virginia, and Wisconsin. He has been inducted in the Kansas State College of Engineering Hall of Fame. He has held positions of Chief Hydrologist at Layne Western Company, Senior Hydrologist at Kansas Water Resources Board, and Assistant Engineer at the Kansas State Board of Agriculture. Carl is the author of numerous publications and is a contributor on Well Rehabilitation to the acclaimed “Handbook of Ground-Water Development” published by Roscoe Moss Company. He is a contributing author to the “Ground-Water Development Handbook, M-21” published the American Water Works Association. He is the co-inventor of a filament wound fiber glass water well screen, and holds patents for an in-situ groundwater treatment system, and non-vortexing passive pump intake strainer for (nuclear power plant) boiling water reactors. Noah has over 19 years of broad based experience in water resource development and hydrogeologic investigations for a variety of subsurface settings including fresh, brackish, and highly mineralized formations. He has expertise in the design, construction, testing, permitting, operations, and monitoring of Aquifer Storage and Recovery (ASR) and deep injection wells. He is experienced in testing the mechanical integrity of Class I and V injection wells using a variety of pressure tests, wellbore video, and radioactive tracer surveys. Noah is skilled in the interpretation of geologic cuttings and split spoon samples to determine appropriate production and injection intervals, performing aquifer tests for establishing hydrogeological properties, acquiring and interpreting geophysical logs for aquifer characterization, and designing/evaluating long-term monitoring tests to evaluate the performance of wellfields and assessing the state of aquifers. Noah is uniquely qualified to address a wide variety of hydrologic issues and challenges related to development, protection, and remediation of water resources by having supervised the permitting team at the South Florida Water Management District in issuance of approximately 800 water use permits and modifications. Noah is also experienced in litigation support involving preparation of deposition documents and providing expert testimony on hydrogeologic impacts of mining and fracking related to oil and gas extraction. These efforts led to stronger state laws and controls on the operations and reporting of waste fluids. Dr. Parr is an experienced hydrologist, hydrogeologist and environmental scientist. His forty-seven year long career has focused on hydrological research and education, consulting, and litigation support. His areas of expertise include storm water and flood plain analysis, sediment transport, unsteady flow analysis in streams, open channel hydraulics, groundwater flow, hydraulic modeling, thermal energy storage in aquifers, dam integrity analysis, and environmental dispersion processes in streams. Dr. Parr has been the principal or co-principal investigator for 39 research projects on a wide variety of subjects and totaling $3M in funding. 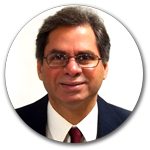 He is the author/co-author of 70 peer reviewed publication on a wide range of hydrologic and hydrogeologic topics. He has conducted numerous training seminars for consulting engineers, state water and transportation agencies related to storm water and floodplain analysis, hydraulic modeling, groundwater contamination, and bridge scour. 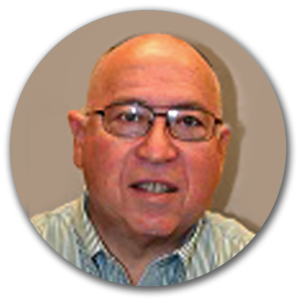 Richard A. Gordon holds a Master’s degree in Industrial Engineering and has over 40 years of HVAC systems design and construction experience. He was one of the early embracers of the Ground-Coupled Heat Pump (GCHP) technology, which is now a key element in all comprehensive energy conservation projects analyzed and designed by him. 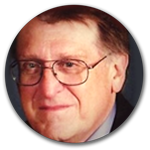 Richard was the Engineer of Record for the design of the largest GCHP systems in the world at Fort Polk, Louisiana, in 1994, which consisted of individual ground-coupled heat pumps installed in each of the over 4000 living units at the base. This project was extensively monitored by Oak Ridge National Laboratories (with Mr. Gordon’s assistance)and formed the basis for the (Geothermal) SuperEnergy Savings Performance Contracts (Super-ESPC) program established by the U.S. Department of Energy. This project saved over 26 million kWh per year, or 33% of all electrical energy used in family housing at Fort Polk. Over the years, Richard has designed and analyzed GCHP systems at over 20,000 Department of Defense family housing units and over 250 commercial and public facilities, for a total project value of over $65 million. Mr. Gordon has been providing consulting and design services focusing on the analytical requirements for energy conservation, renewable resources, and environmental sustainability since 1972. Richard is currently focused on HVAC design issues in extreme climates: from hot and humid to permafrost regions. This has included working with various manufacturers that are developing products and materials to significantly improve HVAC systems using sustainable sources while simultaneously minimizing energy utilization. Examples includes hybrid seawater HVAC systems, ground coupling of heat pump and modular chillers, the integration of distributed power and Combined Heat Power (CHP) systems, and development of innovative high performance/economical green house facilities. 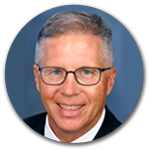 Mr. Gordon has extensive experience in the development of procedures to perform Utility Bill Analyses (Energy Accounting) and establishment of detailed Energy Baseline which is a key component of Investment Grade Audit for Demand Side Management and Energy Performance Service Contracts. In addition, Mr. Gordon has been active in the development of data acquisition systems necessary for Measurement and Verification Programs. To date, Richard has performed comprehensive energy audits on over 1,000 commercial buildings and has extensive experience in applying instrumentation, modeling and other analytical tools to solve difficult HVAC design problems. The experience and knowledge gained from these activities provides the impetus for Richards’ current focus on the design of effective and economical GCHP systems for both retrofit and new facilities. Mike specializes in the development of municipal groundwater supplies from fresh and brackish water aquifers, and in designing effective aquifer storage and recovery (ASR) systems. He is experienced in all aspects of practical hydrogeology including aquifer characterization and testing, groundwater modeling, soil and water sampling, permitting, well and wellfield design, environmental site assessments, remedial investigations and site restoration, geologic waste disposal, and wetlands protection. In the field of ASR, Mike has overseen the construction of nine aquifer storage and recovery project dealing with potable water, partially treated water, and reclaimed water applications. He has performed geochemical studies for a wide range of applications including assessing the potential for leaching of metals and other constituents as a result of aquifer storage, designing effective groundwater remediation technologies, prevention of ASR well plugging, development of effective well rehabilitation procedures, and groundwater source identification to address brackish water problems in wellfields. Mike has conducted contamination assessments and designed numerous soil and groundwater treatment systems. He has supervised correction action at more than two dozen sites involving pump-and-treat, soil vapor extraction, air sparging, and large-scale soil land farming. He has served as the project manager for RCRA closure and corrective action at toluene, MEK, methanol, and semi-volatile constituent impacted sites. Mike has also been involved in designing Class I injection well systems for disposal of waste from reverse osmosis and municipal operations, and conducting field exploration and feasibility studies to determine the potential of deep reservoirs to accept waste fluids. In addition to hydrogeology, Mike has also been also been responsible for operations and safety of two dams in western U.S., and minimizing the downstream environmental impacts from their operations.